If you want to get a new job or even get your foot through the door for that very first position then you are going to want to write the very best resume for that job. Job hunting is serious business and often you will be competing against scores of others for a single placement. So if your resume does not make you stand out you are not going to be one of those that is selected for an interview. Many recruiters will only spend a few seconds reviewing your resume, and if they cannot see everything that they are looking for in that brief look you will not be selected for an interview. So the formatting of your resume and what you write is vital to ensure that your application is going to be successful. So being able to review professional resume examples will help you to understand what you need to do to ensure that your resume gets you noticed. A good resume is one that will get you an interview; but rarely will the same resume get you interviews for a wide range of applications. Yet many people will send the same generic resume to every job they apply to without any form of review of modification to make it better suited. If you want the best chances of success you need to ensure that your resume is perfectly tailored to that position. Our sample resumes for different positions and industries will show you how your resume should look and the areas that you need to cover to ensure that you get noticed. We will provide you with effective resumes for your review and education to help you to understand how your own resume needs to be written. How Should You Use the Best Resume Samples? Good resume samples are not something that should be just copied and used as your own. Your resume needs to match the position that you are applying to and must reflect the skills and experience that you have. Even good CV samples are not going to reflect you or the job that you are applying to. So whatever you do; never ever just simply copy a resume example that you find no matter how good you think it is. 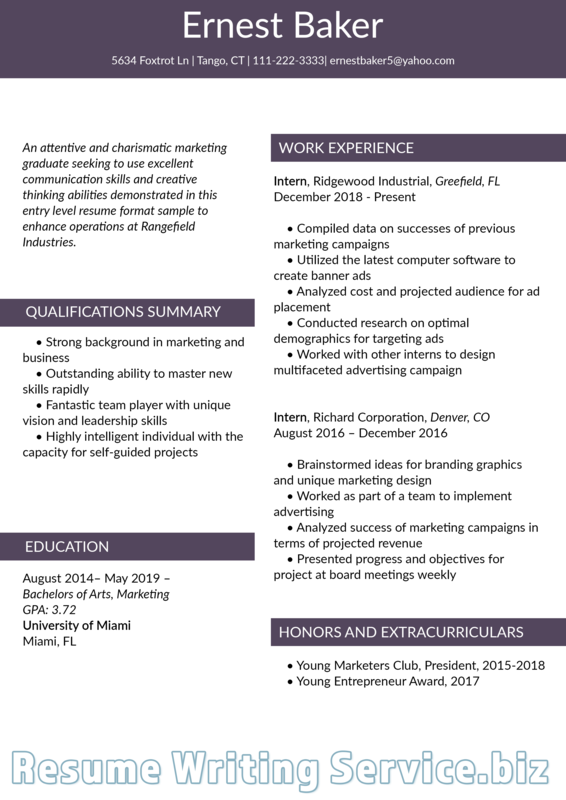 A good resume example can help you by educating you as to how your resume should look and how it should be completed to get you seen as being the perfect applicant. Our professional samples should never be copied in part or wholly. Use them as a guide for your own writing, formatting, layout and for inspiration as to what you should cover. Our resume samples will cover a wide variety of positions and industries allowing you to see just how you should apply to the specific job that you are targeting. Our examples are written by highly experienced recruitment professionals that have many years of experience in the areas in which they have created their samples. They use their experience and inside knowledge to ensure that you can see exactly what recruiters want to see. Our website is here to help you to write the very best application so that you can boost your chances of success. We do that by providing you with everything from the best professional cover letter samples through to examples of CVs in your field. Use our website to give you the edge that you need by looking at good resume samples provided by real experts in recruitment.